Leap your toughest business problems in a single bound. At Gaslight, we transform businesses with technology. 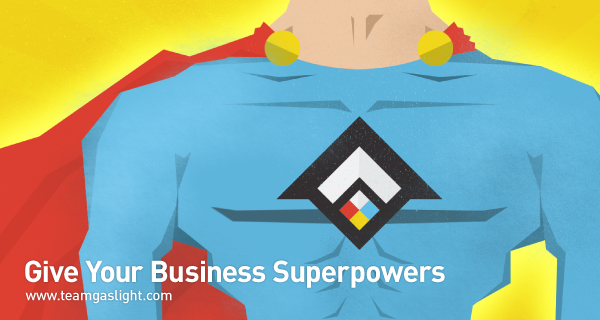 Let’s work together to build custom software that gives your business superpowers. The kind that allow you to boost profits, innovate faster, launch a new revenue stream or radically improve productivity. Small, mighty teams: We’ll assign a strong dedicated team, often two developers and a designer, to work on your project. Laser focused work: Our agile development process allows us to build software faster and focus on building the features that deliver the most value to your business. True partnerships: We consider our clients part of the team and collaborate with them on a daily basis. Read our case studies to see how we’ve given other businesses superpowers. Or reach out to kick off a project.